Mamelodi Sundowns coach Pitso Mosimane says he sees positives in the message on the banner that was held by Wydad Casablanca supporters this past weekend. This comes after Wydad supporters hoisted a banner that had the message that reads: “Pitso Mosimane: Great Country when teaching you, becoming corrupt when beating you,” during their second leg match in Morocco. The message was their reaction to Mosimane’s comment that said that Wydad players are ‘frauds and bullies’. Mosimane described the banner as humbling, saying the supporters know him and recognise the work he has done on the continent with Sundowns. 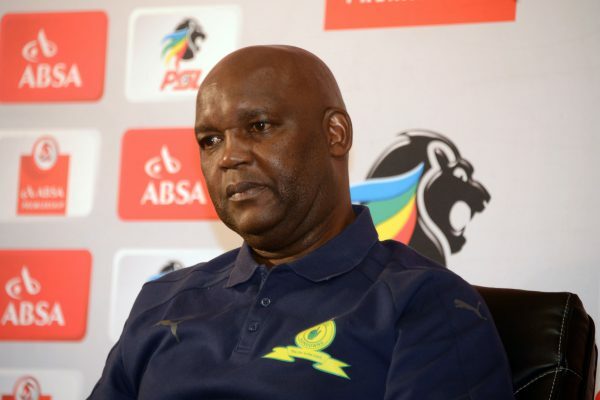 “Behind every thunderstorm there is a rainbow, so I think I will stay with the positive side of this and not the negative,” Mosimane told SA FM.